What is easier? 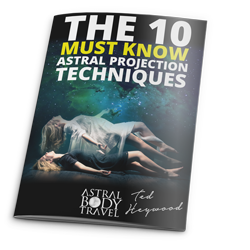 Enter the astral plane or experience lucid dream? Simply read this short list of techniques and see for yourself. If you want to experience lucid dreaming look no further than this easy step by step guide filled with alternative techniques and suggestions. Here you will find the fundamental of lucid dreaming process. As soon as you wake up while not moving or opening your eyes you have immediately separate yourself from your body. This attempt becomes successful not in imagining but in deep desire to move WITHOUT flexing any muscles. The Da Vinci – try to recognize the images appearing in front of you once your eyes are close. The Muse – try to hear the sound in your head and amplify it making the sound louder with your will. Rollercoaster – imagine yourself rotating along the normal axis. The Phantom – try to move any part of your body WITHOUT flexing your muscles, start with small (fingers, toes, tongue) and then amplify into something bigger (arms, legs, neck). Strongman – try to “flex” your brain, this will lead to vibrations. Amplify the vibrations. **Side note** flexing in this case means concentrate your brain on coming out of your skull. Once you stumble upon a technique that is somewhat successful, intensify it as long as you feel constant progress in the intensity of the vibration, or the feeling that techniques brings. When you begin to feel the end of that “progress” you should attempt to separate into the vessel and astral body. Hence you should try to have an Out-of-Body Experience. If still unsuccessful simply repeat the cycle. Another thing you can do is to focus on techniques that work and alternate those. This will take time, especially if you are new to this. I had some students that had an instantaneous success however these cases are the outliers. It took me sometime before I could do this to achieve astral projection. The general time frame for the “working” techniques should be no longer than 2 minutes but perform each one for at least 1 minutes. Try to achieve separation when the feeling is right or in between techniques. As you are waking up without moving a single muscle try to feel an impulse in your hand as if you are holding something in your hand. The best thing to imagine in your hand is a cellphone since that feeling is very common in the 21st century. You DO NOT have to imagine a cellphone it is simply a suggestion. Concentrate all of your attention on your hand. It is possible that within seconds you will be experiencing a physical feeling of a cellphone laying in your hand. If the feeling will not appear in the first 10 seconds, chances are this technique is not for you. Once the sensation of the cellphone becomes vivid separation can be attempted. This sensation should be the anchor that allows for astral projection to happen. The phone should felt by your palm at all times. It is at this point that up attempt to stand up maintain your physical body at rest. Is this does not work go back to the cellphone and start again. Remember, there is a learning curve to this technique to take baby steps. If you still struggling simply repeat until you can overcome this ‘’’’point. 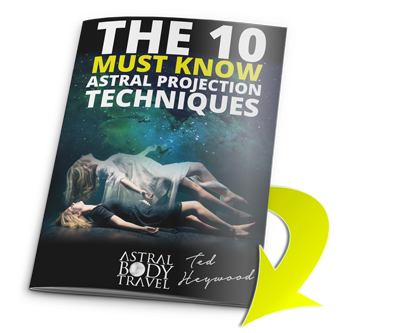 If your astral body is capable of standing up then you should proceed to the astral plane. However, if you are only able to get out of bed then stubbornness if your best friend. Fight through the inability until full separation can occur. As a rule, the sensation of a phone will occur each second attempt after that it is up to you, your experience, and most importantly your desire. There is a “flow” to this technique which you should master prior to attempting the cellphone technique. If you want to learn more about how this stuff then you should check out THIS PAGE! ASTRAL PLANE, CELLPHONE APPROACH, LUCID DREAMING, LUCID DREAMING TECHNIQUE.